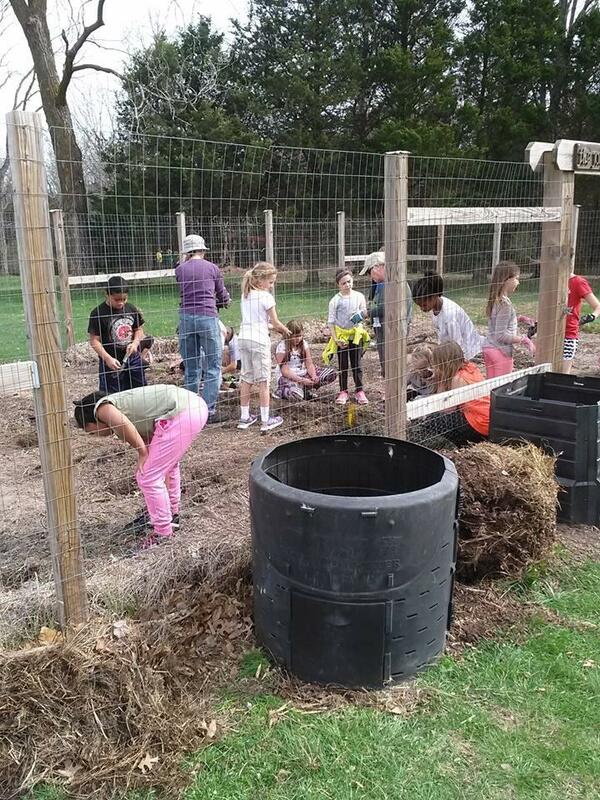 What should go into the compost bin and what stays out? Expert advice from Carrie Hargrove is a click away on this installment of Farm Your Yard. This revelation is most likely just absolutely disgusting for some people, but you know what? It doesn’t really bother me. All of this rotting food has a purpose for me, so I can see past what it is right at this moment in the early stages of decay to see what it will be in a year: the world’s best compost. At the Urban Farm where I work we make some really good compost that we sprinkle over our beds and put in our potting mix to give the soil and our plants a little boost. I am Carrie Hargrove and on this installment of Farm Your Yard, we dig into soil amendments for your backyard garden. Ok, so first things first: you should drop the $10 to get a soil test. The University of Missouri has a soil lab that will test soil samples for any number of nutrients, but the standard, basic test will run you $10. The turnaround time is pretty good as well, within just a couple of days the analysis will be emailed to you. This test will tell you some things that are helpful, like the pH of your soil, potassium and those of several micronutrients. This is worthwhile information, because, if you have enough potassium, there is no reason to rock phosphate to your garden. The basic soil test just gives you a starting point for knowing what soil amendments your garden needs. This is a good time to point out the amending your garden’s soil is not necessarily the same as fertilizing. Amending the soil with compost is a long term soil building strategy, whereas applying MircaleGro is just feeding the plant. A common refrain in organic gardening is “feed the soil, not the plant”. Meaning, that if you have super healthy soil, your tomatoes will grow string and healthy as well. Not that I’m against fertilizing, not at all. It is just that fertilizing and amending the soil are different strategies that can be complimentary in a robust gardening scheme. Ok, let’s start with everyone’s darling: compost. Specifically, homemade compost. But first, let me just digress for a moment and espouse the wonders of home composting. Up to a quarter of our trash is made up of things that rot. Think about that for a second. Not only are we throwing away a ridiculous amount of food, which means we are wasting a ridiculous amount of food, but we are using a substantial amount of landfill space for things that will breakdown on their own. Yes, I am using this platform to tell everyone to start composting. Even if you don’t garden, composting is a no brainer for waste stream minimization. Ok, I am stepping down from my soapbox now. Back to using compost in your garden. Think about compost like a sourdough starter. Good compost will contain whole worlds of beneficial bacteria, fungi, and other invertebrates. When you are adding compost to your garden, you really are adding these populations, with the hope that they will proliferate. So, you are starting with a little bit, but that little bit will keep growing over time. Adding an inch or so of compost to your garden once a year, preferably in the fall, will do your garden well. When you add the compost, you can till it in, or you don’t have to. Tilling it in has a more immediate benefit, but just adding it on top works just fine. We call this top dressing, and that is a better mimic of what happens in nature. The compost will percolate through the soil with rain and freezing and thawing. Also, just like a sourdough starter, you have to feed the compost and the soil in your garden to keep those all-important soil communities thriving. There are lots of things you can add to your garden that will make it happy. These include: grass clippings (only if you don’t spray your lawn), used coffee grounds, and ground up leaves. During the growing season, you can add these things around the edges of the garden, or in the walking paths, or you can use them as mulch around you plants (be careful with the grass clippings- they get hot and can burn plants if too close). Adding them in the fall and over the winter is a good idea as well. The more soil organisms you have in your garden, the faster all of these additions will break down. You can also add inorganic amendments to your soil. These are usually rock dusts, like rock phosphate or lime- things that don’t break down over time. Like compost, and the other organic amendments, these are long term soil building ingredients that are important sources of nutrients for your plants and the little guys that live in the soil. Unlike the organic amendments, these rock based ones would be more dependent upon the soil test you take. Another amendment you can add is bio-char. Bio-char is wood that has been burned very slowly, which creates a substance that looks and feels kind of like charcoal for the grill- with the important different being that it is not toxic, as charcoal briquettes are. Bio-char has to be dug pretty deep in the soil, like a couple of feet, and it acts like a little hotel for all of the good things that live in the soil. Bacteria, fungi, and other microorganisms live in and around biochar. It provides them habitat to proliferate, which is a good thing for the gardener. Like compost, a very small amount of bio-char goes a long way. You might have picked up a common refrain throughout this monolog, and that is put stuff in your garden that is good for the things that live in the soil. That is the essence of organic gardening. A successful garden is wholly dependent upon the bacteria, fungi, worms, and myriad other minute subterrarrian organisms; organisms who, in the course of day to day life, excrete waste, slime, and other substances that the plants can’t get enough of. So if the soil is happy, and your tomatoes are happy, you, gardener friend, will also be happy. And so will your dinner guests. If you are curious about CCUA, visit our website or find us on Facebook. Also, If I have piqued your desire to compost, which I hope I have, but have no place to do it yourself, we would gladly take your food scraps! 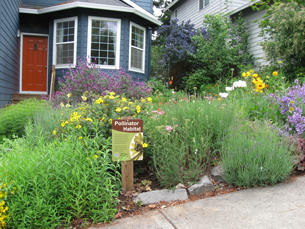 Send me an email at carrie@columbiaurbanag.org. Also, for more information on how to take a good soil sample, and where to send it to, visit this site. As always, happy gardening!